Here’s a new concept in outdoor photography gear. 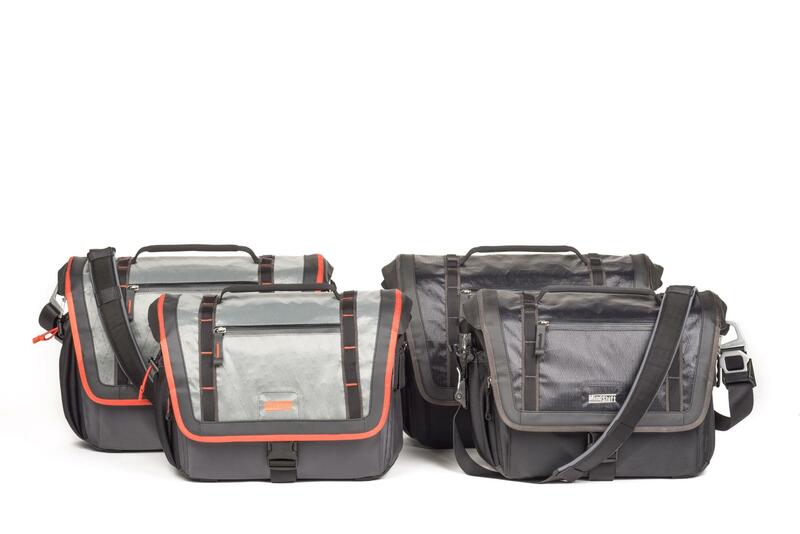 The Exposure 15 and 13 shoulder bags are designed with the outdoor photographer in mind. This way when they are shooting in situations where they need less gear or quicker access than a backpack offers, they can quickly swivel the shoulder bag to access new lenses and bodies. So it’s a rucksack for photographers… And, cool. MindShift Gear’s new Exposure shoulder bags are storm-resistant carrying solutions for the active photographer in virtually any outdoor environment. Built with high performance waterproof sailcloth panels, strategically placed storm flaps, water-repellent DWR fabric, and a sturdy Tarpaulin bottom; the Exposure protects camera gear from the elements and withstands the rigors of adventure photography. And, with its cross-body stabilizer strap, the Exposure moves with you while you’re active or is removable for more causal environments. A waterproof rain cover is included when it’s time to put the camera away and hunker down. Exposure shoulder bags come in two models, the Exposure 13 and the Exposure 15, and in two colors, Black and Solar Flare. The Exposure 13 fits a 13” laptop; the Exposure 15 fits 15” laptops. A 10” tablet fits in zippered pocket. And, don’t forget that when you use my special URL to order you will receive free gear and free shipping.